The Current be with you. 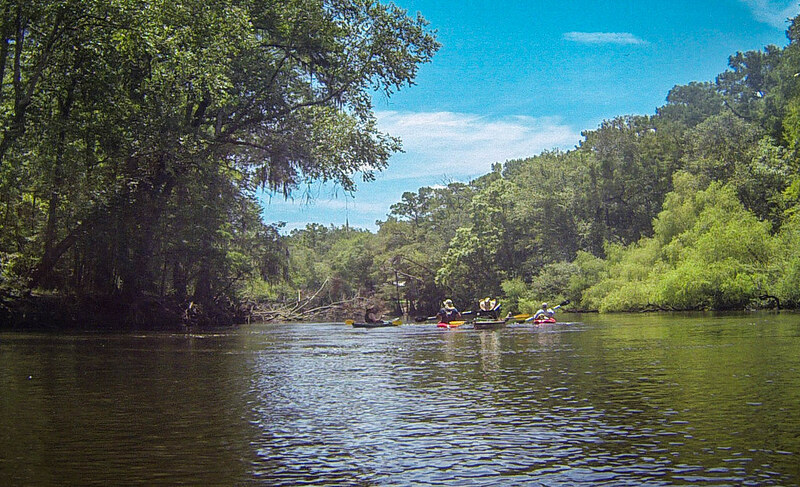 Not only was it a second Saturday and time for another Lowcountry Unfiltered kayak trip, but this month we were set to repeat one of our legendary treks – running the Edisto River from Mars Old Field Landing to Messervy Landing. We’ve come to refer to this as our “beer commercial” trip. It’s always a trip with rope swings, lazy river paddling, home brewed beer, and lots of wildlife. The Edisto River has become home base for Lowcountry Unfiltered (or, at least, it runs a close second to the Savannah.) We try to paddle it at least twice, sometimes three times a year. Each section has its own characteristics. The stretch from Mars Old Field to Givhen’s Ferry is the “party stretch”, with float bubbas, rope swings, and who knows what else. The stretch we paddled Saturday has wildlife of a more traditional type. From Stokes Bridge to Mars Old Field one encounters one of the more remote parts of the river, with very few houses lining the banks. This particular trip we saw lots of wildlife, from osprey to herons and egrets to enormous carp trying to jump into our boats. Our group was smaller than usual, only 10 paddlers, but we also had some new faces. I’ve known Marc Epting for years as Flickr photographer Marc50. Marc takes some great photos around his hometown of Columbia and the Midlands, but I was attracted to his photos because he uses the same camera I do – an aging Nikon D50. We also had a couple more newbies from the lowcountry join us. I hauled down two spare boats to accommodate the crowds.